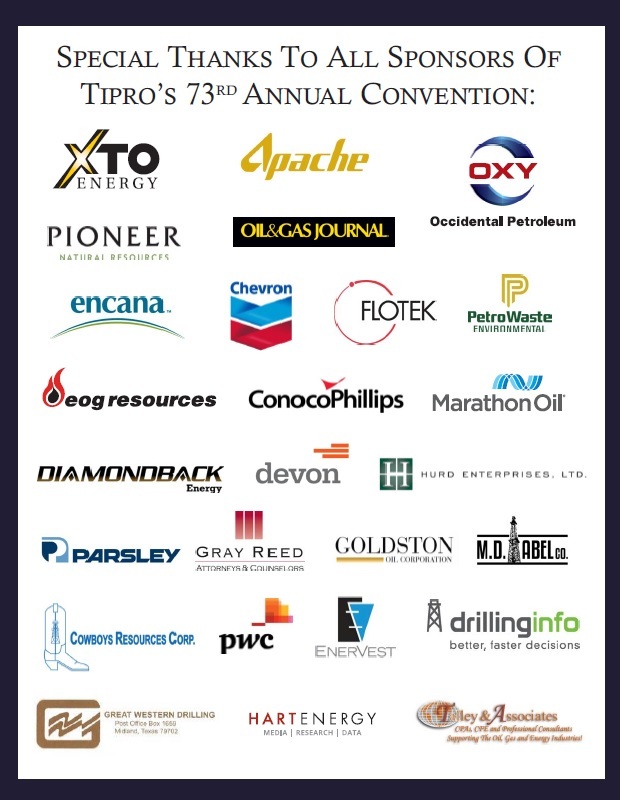 As the association's signature meeting, TIPRO's annual convention brings together membership, industry professionals and elected officials to discuss current issues impacting the Texas oil and natural gas industry, while also providing the opportunity to cultivate business relationships with peers. TIPRO would like to thank our exceptional lineup of speakers, sponsors and attendees for this year’s convention. Please take a moment to review some of the speaker presentations and event photographs.